Friday afternoon sees the renewal of the John Smith’s Topham Chase take place at Aintree. The Class 1 two mile and five and a half furlong race has a provisional field of 54, which may include the winner of the last three editions of the race. With a purse of GBP 120,000, this race often attracts a strong field, including, in 1963, a Royal winner, with the Queen Mother’s Inch Arran taking the race. The race is for horses aged five years old and up. The best place to have a bet on the 2013 John Smith’s Topham Classic is with Bet365.com. The odds below were taken from the site, and you will be able to find the latest race odds there as well. Always Waining, the winner of the race for the last three years, may not start this race as he may contest the John Smith’s Grand National this time around. The 12 year old Peter Bowen trained champion has been an impressive winner in the last few years, and has seven career chase victories. He hasn’t won since April last year, finishing seventh and eighth in his only other races since then, but if he starts the race it would be difficult to ignore his past performances in this race. The closest challengers, according to the early bookies’ odds, are race favourite Chance Du Roy and Little Josh. 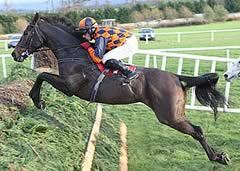 The Philip Hobbs trained Chance Du Roy has seven career chase victories, and was runner up in last year’s renewal. Since then, the nine year old’s best result has been a fourth place finish in February. Little Josh last won in December and his only finish in 2013 from three entries saw him finish eighth in February. He finished seventh in last year’s race, but looks to have been prepared well for this week’s outing. French import Pacha De Polder is a bit of an unknown. The six year old has been very good in races he has finished, winning three of his last seven races going back to January last year, as well as one second place, but either pulled out or fell in his remaining starts. His last race came in March in the Greatwood Gold Cup, where he won well by five lengths from Big Fella Thanks from 18/1 out. He is a bit unexposed, but a lot has expected from this horse. Also of interest for the race could be Criqtonic and Soll, who was a good winner earlier this month. Criqtonic has won two in his last five, with one second place, winning in February last time out. Liam Cusack trained Last Time D’Albain has seen his price fall in the last few days, and Cusack will be hoping for a strong race from his contender. The Irish horse comes into the race after a strong third in the Paddy Power Handicap Chase in December and at 20/1 pays out pretty well. The race starts at CET 16:40/ EST 10:40. The going at Aintree is expected to be Good to Soft. As mentioned above, the best racebook to place a bet on the 2013 John Smith’s Topham Classic is Bet365.com, who will offer the best odds on the race. When visiting Bet365.com, click on ‘Horse Racing’ in the left sidebar and scroll down to the Antepost section of the page, where you will find the markets for this race and many more. Each day of the Aintree Festival sees a race that is run over the Grand National fences and on the Friday of the meeting the feature race is the Topham Trophy Chase. It was first run in 1949 and is named after the Topham family who bought Aintree racecourse in the same year. The race was originally run on the opening day but swapped places with the Fox Hunters in 1999. The contest is only half the distance of the main race but always provides a terrific spectacle and a stern test for any horse competing. Always Waining has been the most successful horse in the history of the Topham Chase winning it three times.